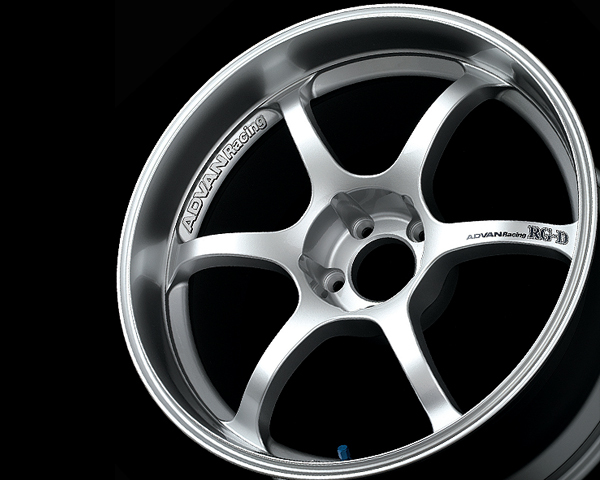 The ADVAN RG-D burst on to the scene in 2009 as part of the ADVAN Racing lineup, and was set apart by it's full-face design. The outer rim was designed as deep as possible, and the spokes featured enough curve to provide the necessary brake caliper clearance and inset. Now, continuing this trend, comes a new one-piece wheel. ADVAN RG-D wheels which embody the ADVAN Racing wheel design, represent a fusion of RG tradition and deep rim technology. The bold design of the new RG-D spokes matches the deep rim in a superb balance that puts together an amazingly appealing form, looking flatter yet keeping necessary caliper clearance. That said, the high quality of casting technology is the same. Full water-jacketed molds with computer controlled water cooling cause the aluminum to harden at precisely the correct rate. The ADVAN Racing trademark is shown in embossed lettering on the rim surfaces between the spokes. The contrast between the letters and the rims is accentuated for maximum visual effect. The RG-D logo is emblazoned on a sticker that owners can apply themselves. 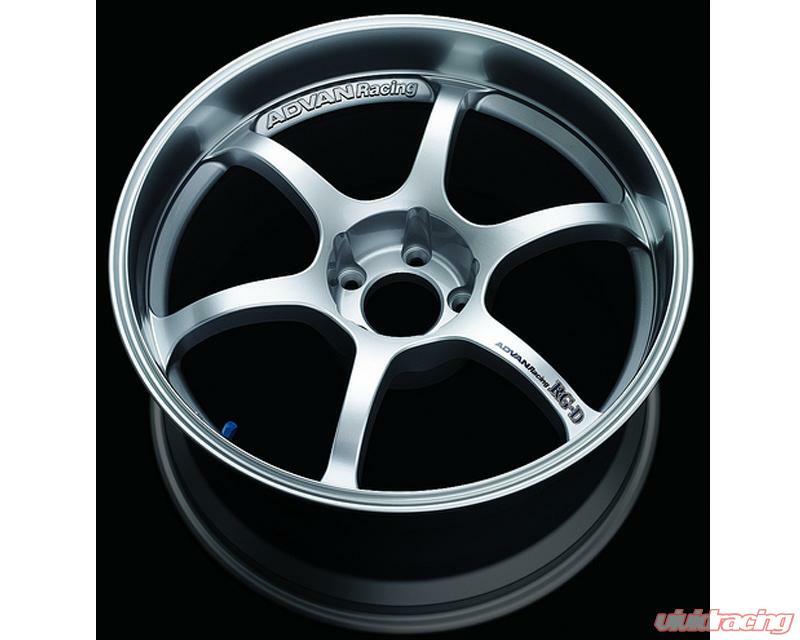 High Quality cast one-piece, 6-spoke design. Case and flow-formed inner rim. ADVAN Racing RG-D logo decals are included. Contact Us for any wheel fitment questions.